The earth package is an implementation of Jerome Friedman's Multivariate Adaptive Regression Splines, commonly known as "MARS". 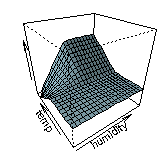 MARS is a statistical technique for modeling data. It's an extension to linear regression that captures nonlinearities and interactions between variables. The Wikipedia article gives a good overview. Earth package for the R language. Standalone C version for those who want to call earth from their own software without requiring R. A MATLAB interface is also provided (thanks to Fred Nicolls). This standalone version is based on earth version 3.2-6 (Nov 24, 2013). The earth source code is licensed under the GPL and runs in an R environment, or can be used as a stand-alone C library. Earth is derived from the mda:mars library written by Trevor Hastie and Rob Tibshirani. Max Kuhn at Pfizer is using earth for building predictive models in computational biology and chemistry. You may also want to check out Max's caret package. Thorsten Behrens at the University of Tuebingen (Institute of Geography) is using earth for Pedometrics / Digital Soil Mapping. Trevor Nell at Brolink (Pty) Ltd is using earth to analyse insurance claim data to determine appropriate premiums. Kurt Salmela and Ming Shan of Maritz Research are using earth for analyzing marketing research survey data. Darin Brooks at the University of British Columbia and Kim Forest Management Ltd is using earth for predicting secondary growth/mid-term timber supply in the BC forestry sector. The following people have contributed to the earth package in one way or another. Thanks guys! I apologize to anyone that I may have inadvertently omitted.